Ferguson grand jury decision appears unlikely this weekend. 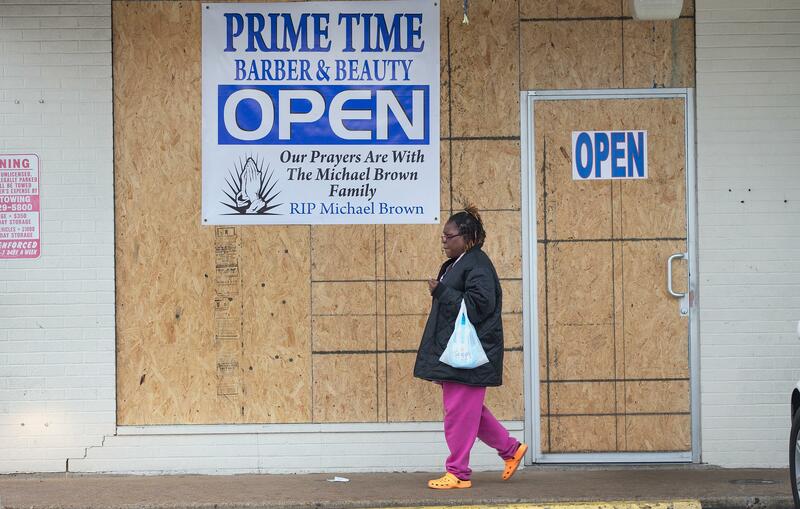 A storefront on West Florissant Street in Ferguson, Missouri. The city of Ferguson, Missouri has been anxiously waiting for a grand jury decision on whether police officer Darren Wilson will be indicted for the shooting death of teenager Michael Brown. Despite speculation that the grand jury decision could be announced over the weekend, according to multiple sources, it now appears unlikely an announcement will be made until next week. CNN reports the grand jury, as of Friday, had yet to reach a decision on the case, and local officials tell ABC News the grand jury will not reconvene again until Monday. “Federal, state and county officials have been ramping up their readiness in case there is a fresh wave of angry and, at times, violent protests over the jury’s decision,” ABC News reports. “Many stores have boarded up their windows for fear of destructive protesters.” On Monday, Missouri Gov. Jay Nixon declared a state of emergency and activated the National Guard ahead of the imminent grand jury decision. “Some, though not all, public schools that serve Ferguson reportedly plan to be closed Monday and Tuesday,” according to the Washington Post.